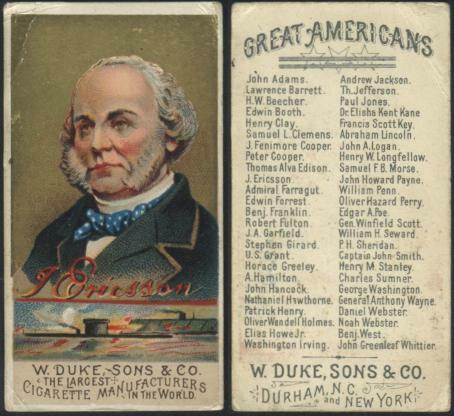 A Lone Jack cigarettes card. N365 Great Inventors Series, issued in 1887. 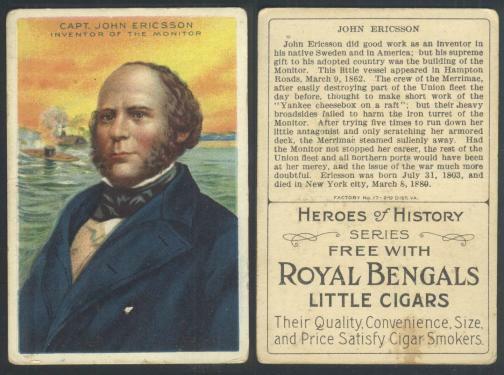 A, 1911, heroes of history, tobacco card, commemorating Capt John Ericsson. 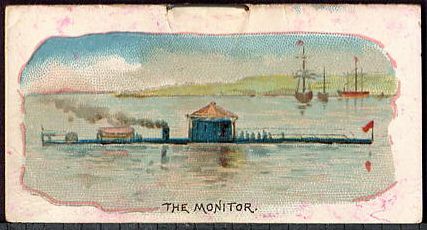 Tabacco card issued by W Duke, Sons & Co. in 1888. A Helmar Turkish Cigarettes card. No. T69 Historic Homes Series, issued in 1911. 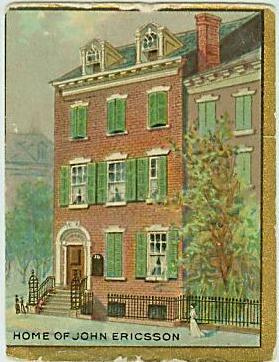 Allen & Ginter (Richmond, Virginia). 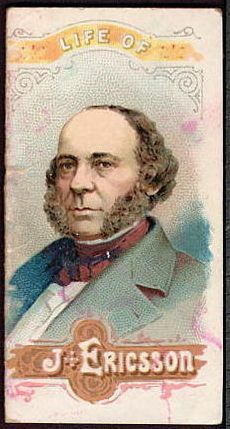 Famous inventors series, cigarette card issued in 1890. History of the United States, Inventors and Invention series.